One of the most popular books at Book Passage this Holiday season is Susan Orlean's Rin Tin Tin: The Life and the Legend (Simon & Schuster, $26.99). It is the story of a dog – a very special dog, as those who attended Orlean's earlier Book Passage event were fascinated and delighted to find out. Rin Tin Tin was the name given to a puppy found on a WWI battlefield that went on to star in more than twenty films. Extraordinarily popular in the 1920's, Rin Tin Tin was a major movie star, reportedly won an Academy Award, and helped save Warner Brothers from bankruptcy. The dog’s name was subsequently given to several related German Shepherds featured in later films, books, comics, and radio and television programs. The book also tells the story of the American soldier – one time Oakland resident Lee Duncan, and his special relationship with the orphaned pup whom he found and called Rinty and brought to world fame. Rin Tin Tin: The Life and the Legend is the poignant story of man’s love for man’s best friend. Recently, Susan Orlean took time to answer a few questions from Book Passage staffer & film buff Thomas Gladysz about her bestselling book. Thomas Gladysz: In your book, you write about the Rin Tin Tin figure which sat on your grandfather’s desk which you admired as a youth. When and how did the idea of writing about Rin Rin Tin come to you as an adult and as a writer? Susan Orlean: I hadn’t thought about Rin Tin Tin for decades. Then I was working on a story about animals in Hollywood for the New Yorker, and Rin Tin Tin’s name came up, as it inevitably does when you look into that particular subject. I was astonished by how powerful the memory was, and by how many memories rushed back the minute I was reminded of him. When I discovered that his story was far more complex than I had imagined – that he wasn’t merely a television character but in fact a real dog with a long and intricate history, I was fascinated – and immediately convinced that I had to write a book about him. Thomas Gladysz: Rin Tin Tin was found as a puppy on a WWI battlefield. What was special about the relationship between Rin Tin Tin and the American soldier, Lee Duncan, who became the dog’s original owner & trainer? Susan Orlean: The bond between devoted owners and dogs is universal. In the case of Lee and Rin Tin Tin, they were almost inseparable from the time they first came together, when the puppy was just a few days old. That gave them an extraordinary connection, as did Lee’s focus on training the dog and spending so much time with him. But there was something else – something that’s impossible to define, that made their connection so intense. Thomas Gladysz: Lee Duncan was raised in an orphanage in Oakland, and visited there later in life with his famous canine. Does the Bay Area play a significant part in Lee Duncan’s life? Susan Orlean: Lee’s years in Oakland molded him for life. He was only in the orphanage for four years, but they were formative ones, and even after his mother reclaimed him and took him back to southern California, he remained permanently fused to his memory of his days in Fred Finch. It was central to his character and his emotions. He visited Fred Finch many times throughout the remainder of his life, returning to Oakland as often as he could. Thomas Gladysz: The early films which feature Rin Tin Tin – especially the silent films – are very entertaining. Rin Tin Tin himself had real charisma, and great athletic ability. Do you think Rinty was in any sense an actor? Susan Orlean: Yes! He performs not just as a dog responding to commands but as if he had a sense of what he was trying to portray. I don’t think you can teach that; I think the dog had to have had a sense of being observed, of needing to put his heart into his behavior. Once you seen those early films, you can’t help but think he was an actor. Thomas Gladysz: Your book takes readers through nearly 100 years of history and culture while examining the enduring appeal of Rin Tin Tin. Why do you think the dog, as a character and as a symbol, lasted so long? Could there be a Rin Tin Tin today? 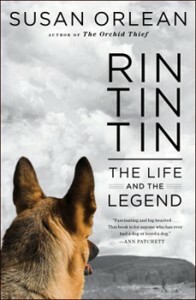 Susan Orlean: Rin Tin Tin has lasted for several reasons. The people who were drawn into his life were unusually committed to the bigger idea of keeping his story alive, rather than what would have been easy — cash in and move on. And he connected with a need and desire the public has had to believe in a heroic character. Could we still feel that today? We’re in the post-heroic period these days, but we may be moving past that. The idea of a hero, of rising above circumstance, braving the risks, being selfless — those are eternal, and even if the last few decades of skepticism and disappointment have made it harder to believe in that, I think people will always want something to dream about. Maybe we’re ready to embrace Rin Tin Tin as that figure once again. Thomas Gladysz: Finally, there have been many Rin Tin Tins. Do you have a favorite? Susan Orlean: The dog who starred in the television series was the most beautiful of the Rin Tin Tins, and he was the dog I imprinted on as a kid, so that’s my favorite Rin Tin Tin to gaze at and pine for. But the first Rin Tin Tin is the most charismatic of them all, and his life was so amazing that it’s hard not to be awed by him. And he could jump over the moon. 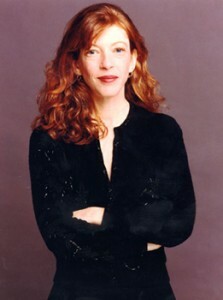 Fans of Susan Orlean will be pleased to learn that the acclaimed writer has agreed to participate in the 21st annual Book Passage Travel Writers and Photographers Conference, which will takes place August 9th through August 12th in Corte Madera. Watch this blog and the Book Passage website for details. Heard a great Show on the book report where Susan and her book were mentioned, to my fellow book lovers, go have a listen. They also have many great interviews with well-known authors. This is their web address, http://www.bookreportradio.com/index.html. Show times and Stations are available and the previous shows are available to listen to. @ Kelly H Went to check it out and caught one of Elaine's shows on the 24th. Was also great to be able to go back and listen to archived shows featuring books I was interested in. The link to Rin Tin Tin (and others for the week), for those interested, is http://bookreportradio.com/media/The%20BookReport%20Show%2059%2059-43.mp3. Thanks for sharing!